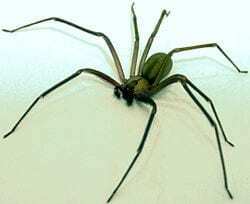 The brown recluse spider has 13 known varieties. They are medium-sized spiders with a pale brown to dark brown color. They have four pairs of long, thin legs and six eyes that are arranged in pairs as compared to other spiders that have eight eyes. Their distinguishing characteristic is the presence of violin or fiddle-shaped marks on top of their abdomen which is why they are sometimes referred to as the fiddleback spider or brown fiddler. On average, they can grow from six to 20 millimeters in length. Average lifespan is up to 2 years. The females can hatch 50 eggs in one sac. In their natural habitat, brown recluse spiders spin irregular webs that are commonly found in brush and trees. When in residential areas and other establishments, they prefer areas that are seldom disturbed. They are also known to hide in objects that are seldom used and in some instances in shoe racks, dressers, and other stocked objects. True to their name, they prefer to hide. Their main diet consists of insects like cockroaches, crickets, flies, mosquitoes, beetles, and other smaller spiders that are trapped in their webs. They prefer hunting at night. They also feed on dead insects. 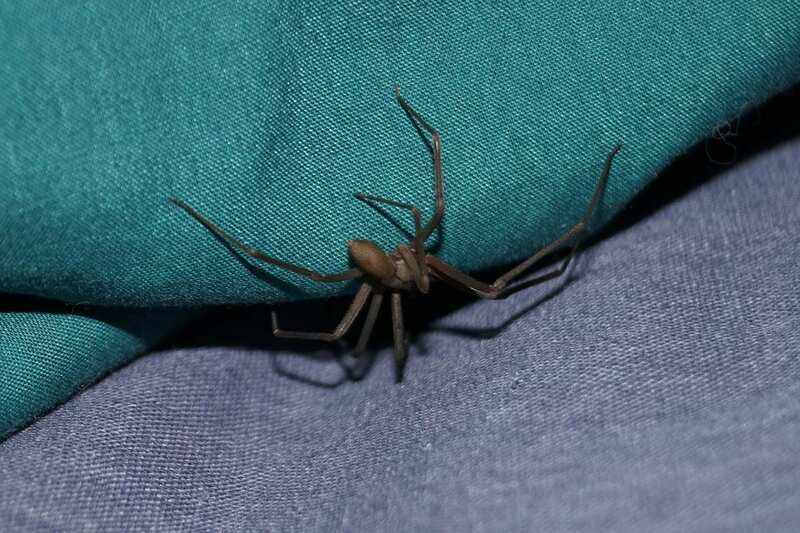 Due to the destruction of their natural habitats, there are many reports of household infestation by brown recluse spiders in Nebraska. One might not know that his house is infested because of the reclusive behavior of these spiders. Usually, an infestation is only discovered when one or more of these spiders are found. This behavior is a contributing factor to why they can easily propagate without your knowledge. The primary threat of brown fiddlers to Nebraska residents is their venomous bites. They secrete venoms through their fangs as a means of protecting themselves. It may require some three to eight hours for an individual to notice that he is actually bitten; usually not until redness, swelling, itching, and inflammation starts to manifest in the affected area. In severe cases, it can cause fever and nausea. Necrotic lesions can also appear. We are local company specializing in residential and commercial pest control. Spiders, ants, termites, mice, and other rodents are just a few of many pests we professionally exterminate in the Lincoln and Omaha area.